(Size 4 was the closest to my measurements because their size 2 was small. Alterations would have been needed had I kept the dress). 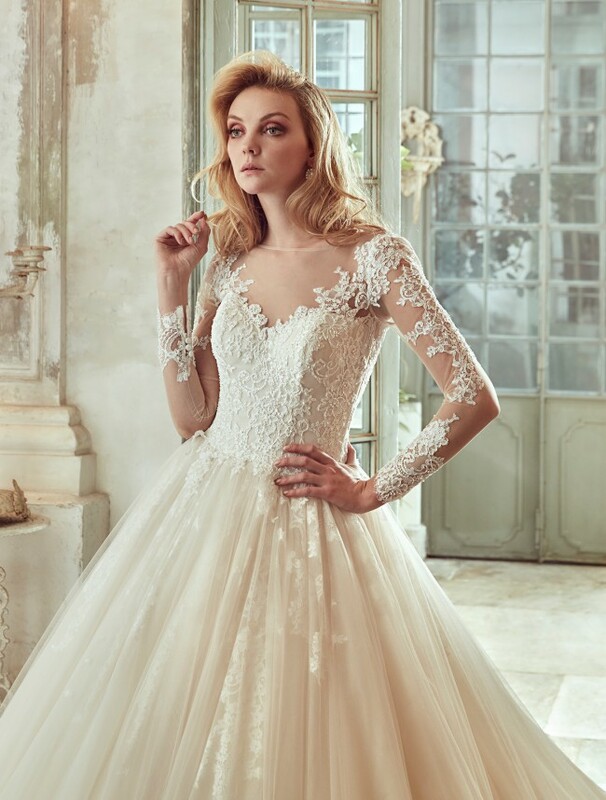 The mix of tulle with beaded lace, give the bride a very majestic yet romantic look. The open back adds a touch of sexiness to the overall elegant look. The sleeves will create a tattoo effect on the arms and since it was never altered, you could do all the modifications that would make it just look PERFECT on YOU. It was bought in July 2017 for 2715$ CAD taxes included and received in October 2017 for a wedding that was supposed to be held in June 2018. However, a change in the circumstances force me to sell the dress unfortunately. All packaging and label are available, the dress was just taken out for picture purposes.